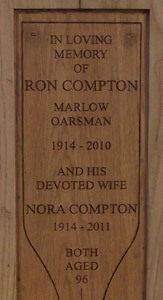 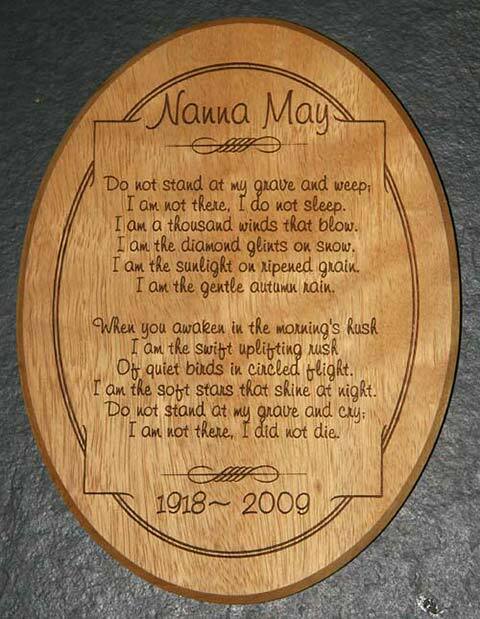 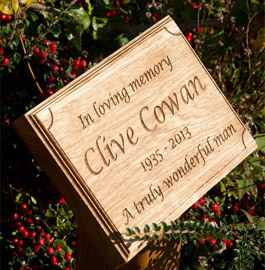 The 100mm and 150mm high wooden plaques can be made in Oak, Sapele or Iroko. 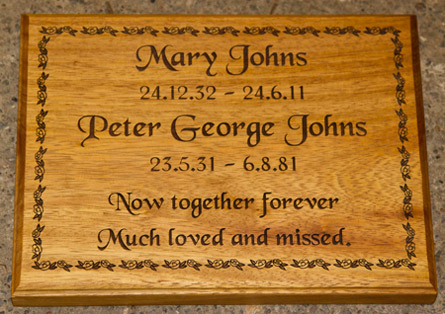 Oak is a very beautiful timber and exceptionally durable but does need to be maintained. 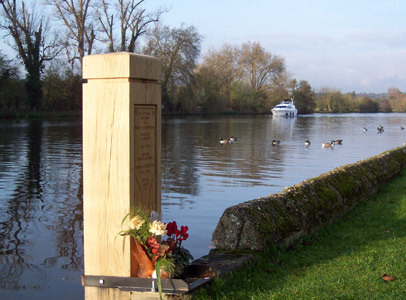 Iroko has a high oil content and can be left untreated. 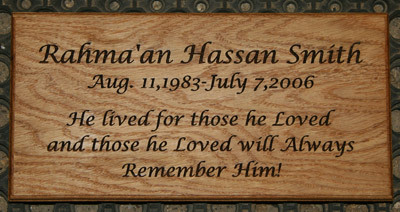 Sapele is similar to mahogany and even harder than oak, but must still be maintained. 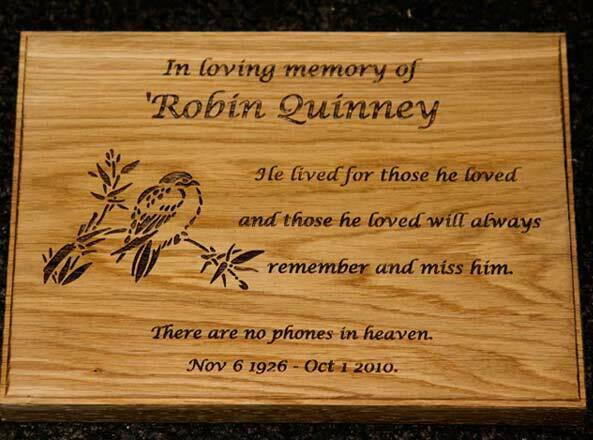 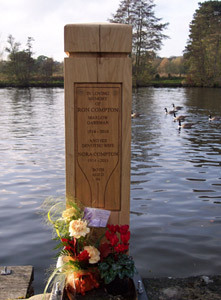 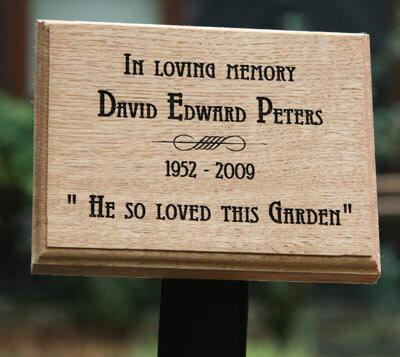 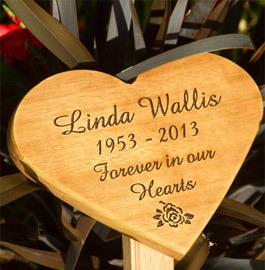 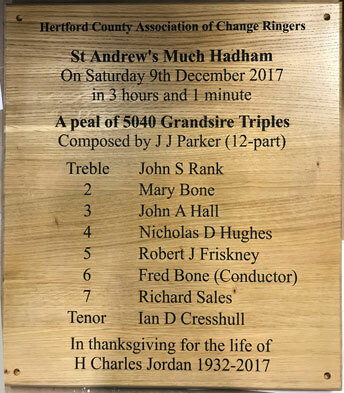 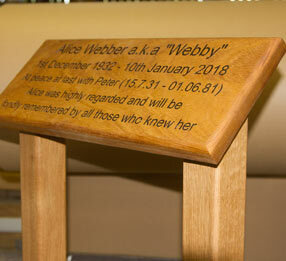 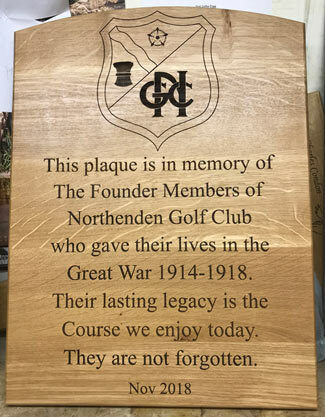 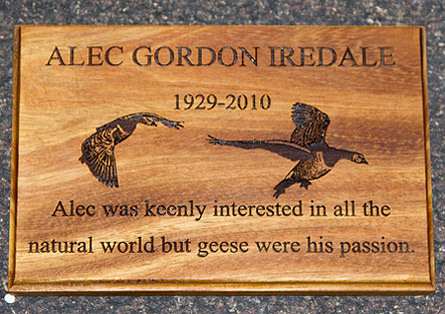 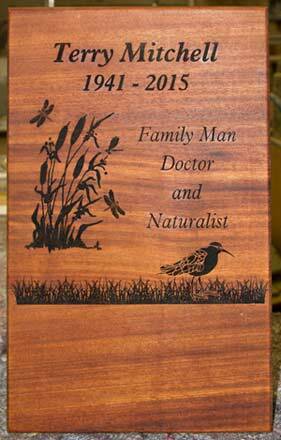 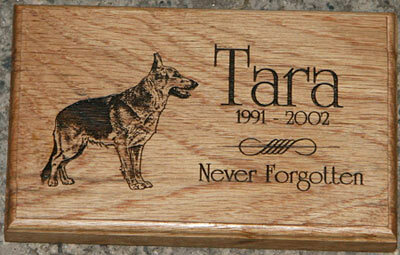 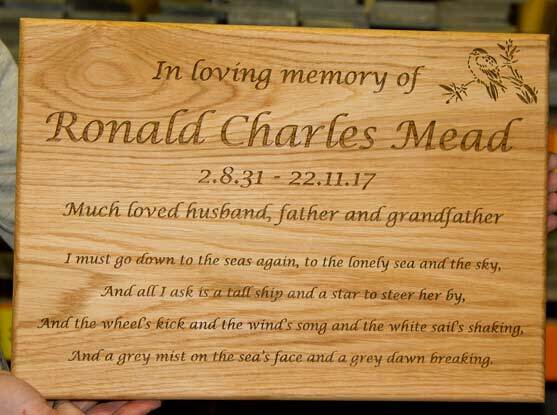 Our team at The Sign Maker looks forward to helping you with your wooden memorial plaque.